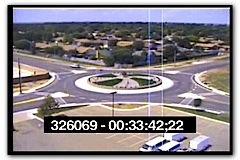 Video captured by the webcam on top of Faith Christian Church at the corner of Norris and Llano Estacado in Clovis, New Mexico. How dumb is this guy? !